Forensic science is booming. TV dramas, books and movies have made morgues cool. Complex technology and intricate research can take curdled blood, bone shards, and flakes of skin and turn them into justice. 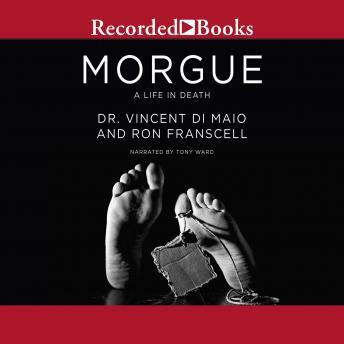 And Vincent Di Maio, MD, son of a famous New York City medical examiner, is one of the lions of forensic science in his own right. In this clear, gritty, and enthralling narrative, Di Maio himself guides us into the inner sanctum, through the cases that have made him famous, from the exhumation of assassin Lee Harvey Oswald and the racially charged shooting of Florida teen Trayvon Martin, to the unmasking of a serial baby-killer and the mysterious death of troubled genius Vincent van Gogh. Along the way, one of the country's most methodical and intuitive criminal pathologists will dissect himself, maintaining a nearly continuous flow of suspenseful stories, revealing anecdotes, and enough macabre insider details to rivet the most fervent crime fans.